Career Place (TCP), will be hosting a breakfast this Friday, October 24th, to celebrate the progress we have made toward bringing good quality jobs to Somerville residents. We would like to recognize the strides we have taken as a community, including the tremendous efforts of our good faith employers across Somerville, who have come together to ensure more local jobs and less displacement while Somerville’s commercial base actively grows. Since the spring, more than 40 First Source participants have secured employment, more than 150 people have joined our talent bank in search of jobs, and we have connected with more than 60 employers to provide good quality positions for local residents. 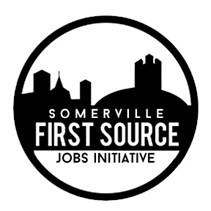 Please join us on Friday to be a part of this milestone event for the First Source Jobs Initiative, and share in the success of this joint venture with SCC, TCP and the City of Somerville. Representatives from all coalition partners will be present, including Amanda Maher, Senior Economic Development Specialist at the City of Somerville. If you have any questions, please contact Jorge Colón at 617-776-5931 x232 or jcolon@somervillecdc.org.